Finding the absolutely perfect home—then being able to afford—may be every Northeast Florida home seeker’s dream accomplishment, but absolute perfection in any realm usually remains exactly that: attainable in a dream, but nowhere else. Get in Touch. Rather than sit and stew, communicate. 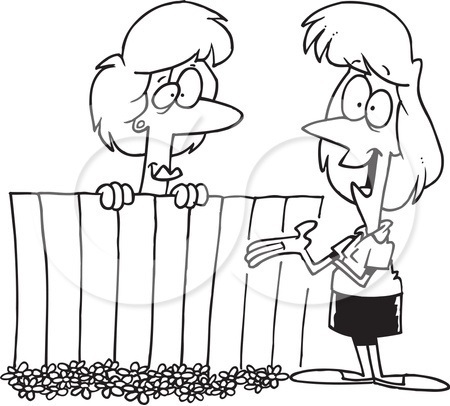 It can be hard to remember that even unreasonable neighbors are people, too. They make mistakes, and sometimes behave in ways they assume to be perfectly normal, but which are viewed by everyone else on the planet as out of line. Remember, they aren’t mind-readers; it’s not likely they view what they are doing the same way you do. Unless they are truly aggressive, they just need to get a glimpse of how their behavior is coming across. If you fail to tell them that you don’t appreciate their guests parking in your driveway, it will continue to happen. Speak Calmly. Human beings have a tendency to sub-consciously mirror body language—including things like tone of voice and word choice. In the same way that seeing a person smile makes you want to smile, too, if you wait until you are boiling mad before you confront your neighbor, you’re more likely to assume an aggressive posture (stand too close, ball your hands into fists, point with your fingers, etc. )—and earn a similar response in return. That’s how real street fights begin, and they can result in greater problems than your neighbor’s “borrowing” your newspaper! Keep a Record. Even if this is your very first time talking to your neighbor about their dog’s midnight Barkapalooozas, it’s helpful to keep a record of your conversations. Since this might not be the last time, email yourself a summary of each interaction—one that includes what you discussed, and the response (“Okay.” “I’ll get right on that.” “Take a hike!” and so on). In case problems linger or multiply, being clear in your own mind about the specifics will strengthen your position. When you are absolutely certain where things stand, you will be able to keep your cool much more reliably. Praise Your (No-Longer Difficult) Northeast Florida Neighbor. If you ask your neighbor to change his or her behavior, don’t just leave it at that. Let them know that you’ve noticed and appreciate the change. Most people value recognition of their efforts, and praise makes it more likely to be continued. If your Northeast Florida neighbor is a relatively reasonable person, it may be easier than you’d think to nurture an open and friendly future relationship—it certainly can’t hurt to try.